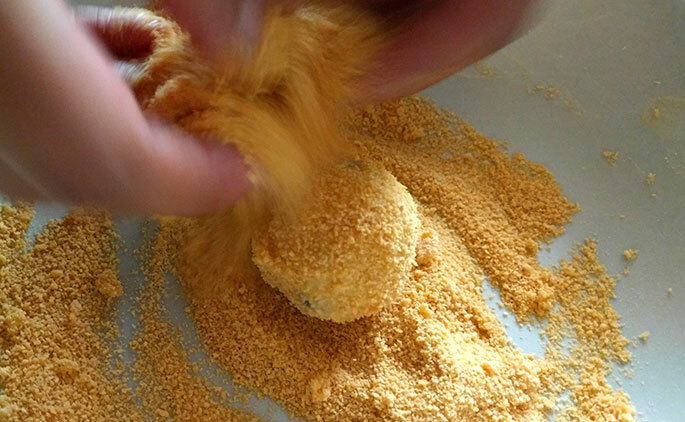 What could be more satisfying than a blob of cheese erupting inside your mouth? 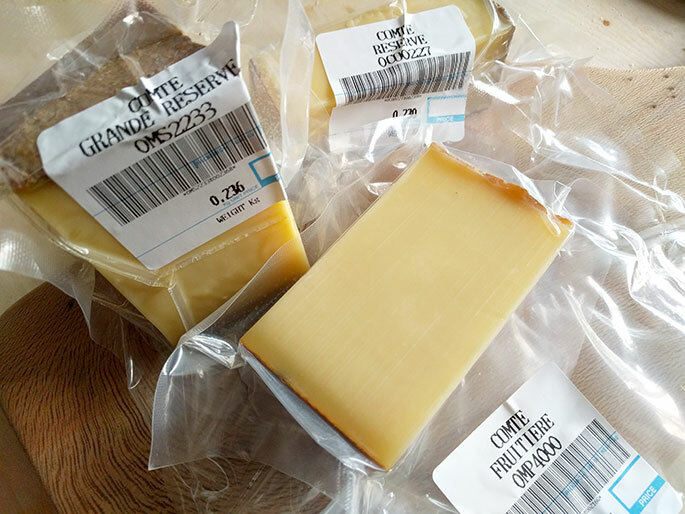 The wonderful people over at Comté sent over a selection of their cheeses and I spent one lovely lunchtime biting through every single block with pure delight. From there I decided that the stronger, more mature Grande Reserve Comté would be magical if combined with creamy potatoes and mushrooms. 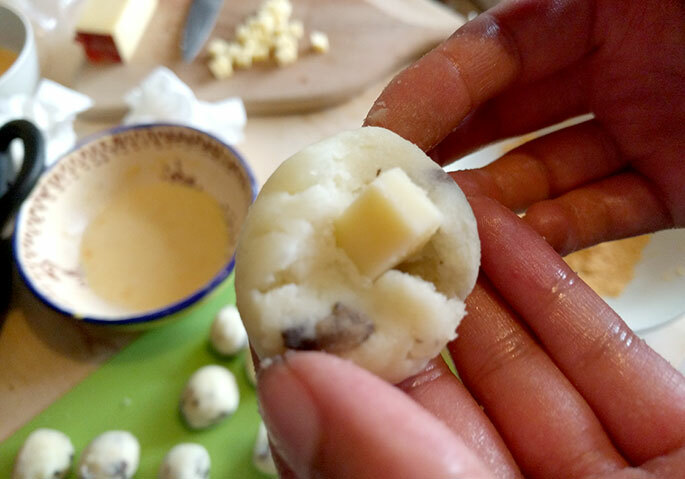 The nuttiness of Comté pairs beautifully with the strong flavour of mushrooms making these ‘Blobs’ a big hit for my belly. 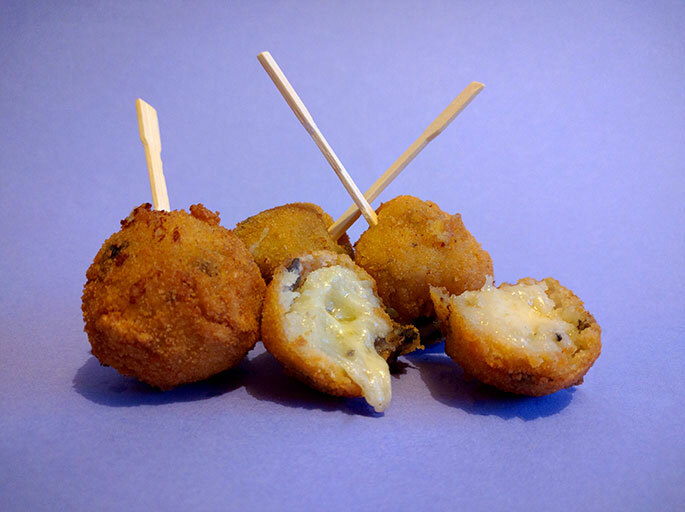 Serves: This makes around 30 small blobs, so the perfect treats for a large group! 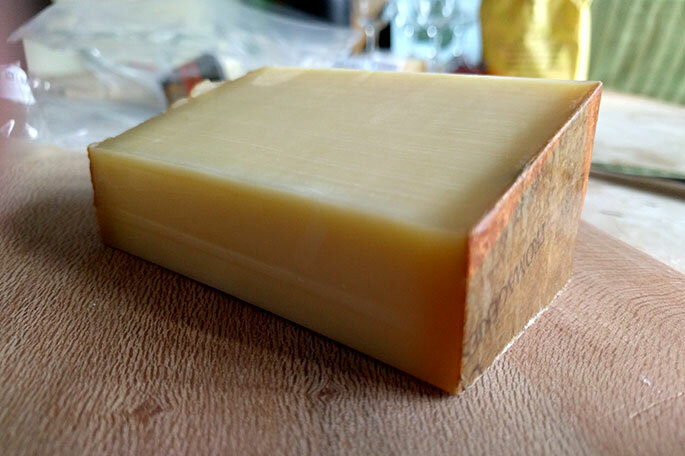 220-300g of Comté cheese. Grate most of this but keep some to cut up into small cubes. 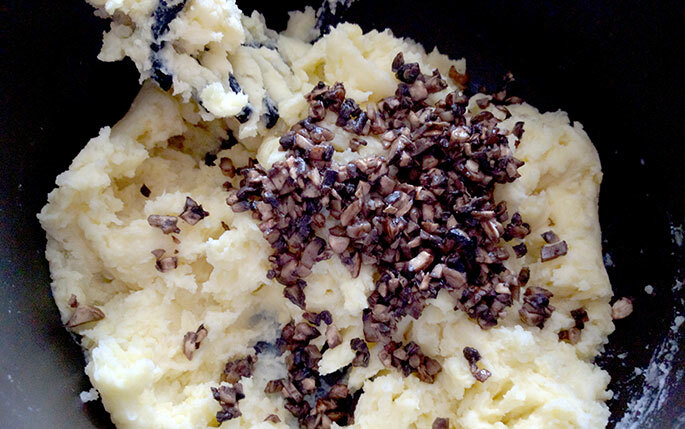 Start by peeling and cutting the potatoes into half. Then allow them to boil in some salted water. 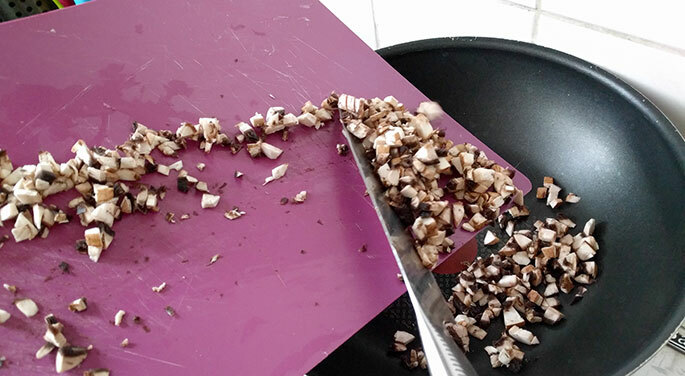 Whilst the potatoes boil, begin to dice up those lovely mushrooms into tiny little cubes. You can add more than the amount I’ve used if you prefer a stronger mushroomy flavour. 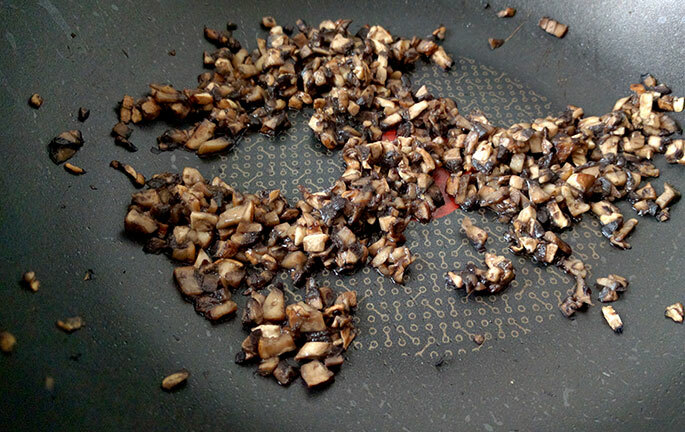 Lightly cook the mushrooms, no oil is required although I used one tiny spray of cooking oil. Grate up that cheese, LOADS OF IT! Remember to keep a bit spare for tiny internal cubes. 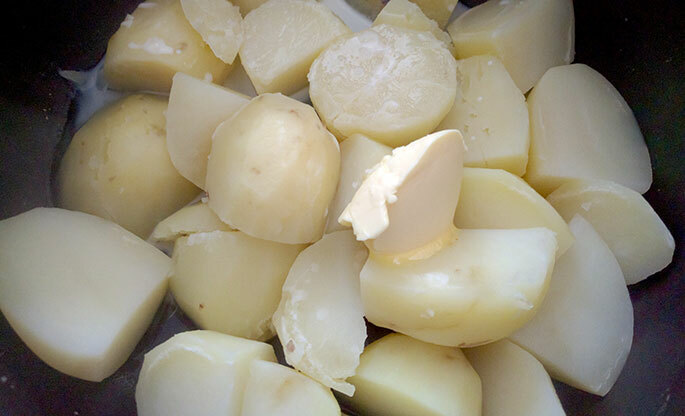 Once your potatoes have finished boiling and are ready to mash, drain them and put back into the pot. Chuck in some butter along with some milk and get stuck in with the masher. Put some power into the mashing, but don’t worry if it’s not totally smooth. 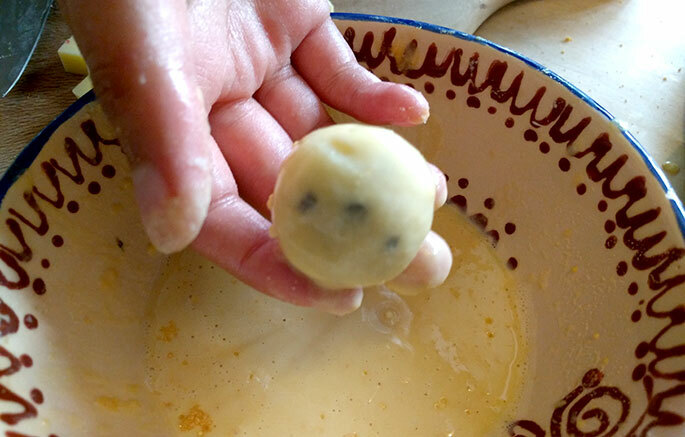 Rustic mash works well for blobs. 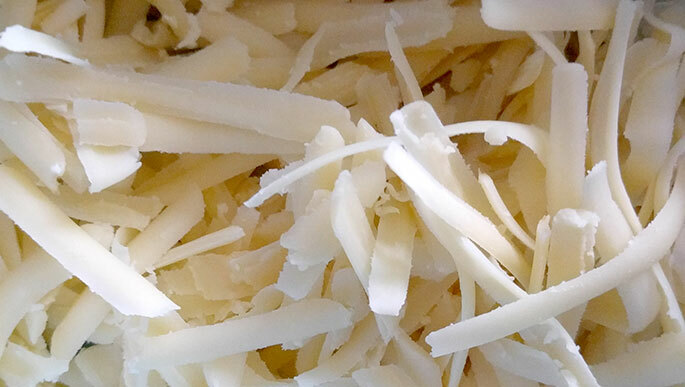 Slowly meld in the masses of Comté you have grated and revel in the aroma as it hits your nose. 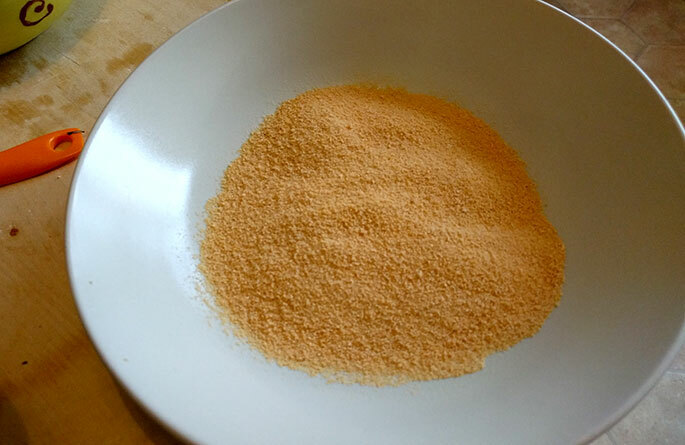 At this point you should also season the mixture with some salt. You can also add pepper if you like. Once the cheese is in, fold in the mushrooms. Don’t use the masher for this. 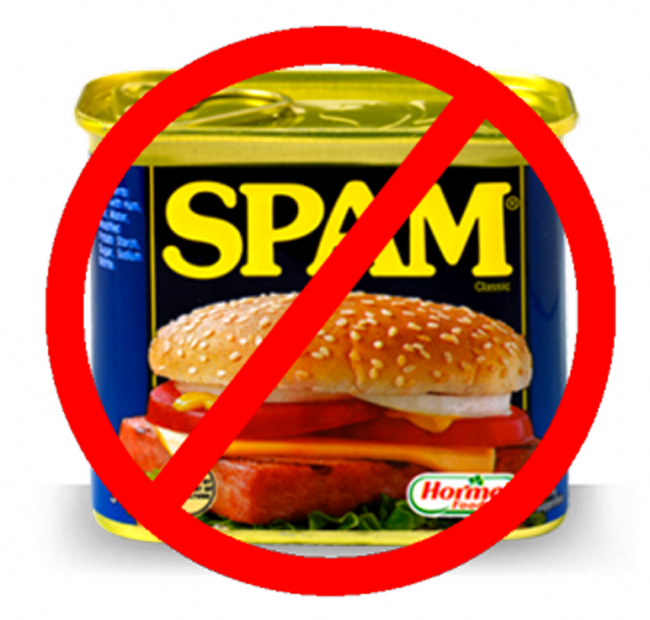 You don’t want squashed mushrooms. Set aside the cheesy mushroomy mixture, and get the blobbing part ready. 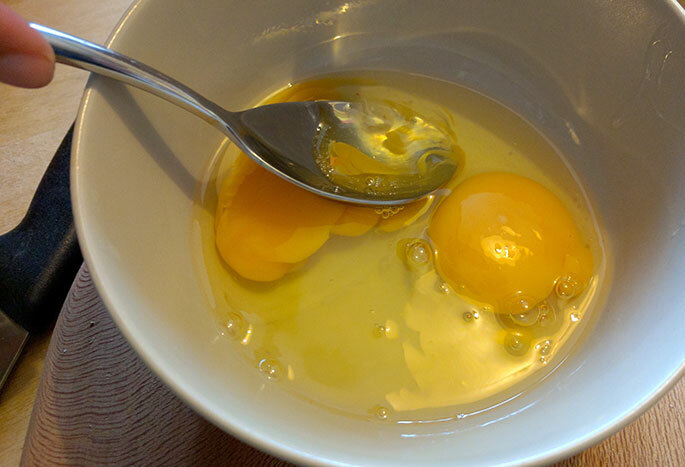 Whisk up some eggs. Get a large plate and generously pour in the breadcrumbs. 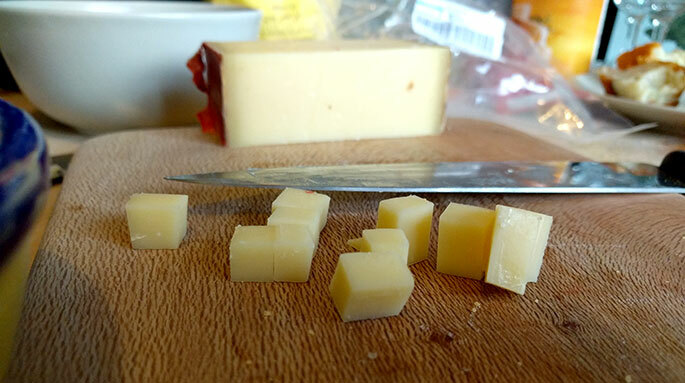 As well as the grated cheese you added, cut up some very small cubes of Comté to go inside the heart of your blob for extra meltage. 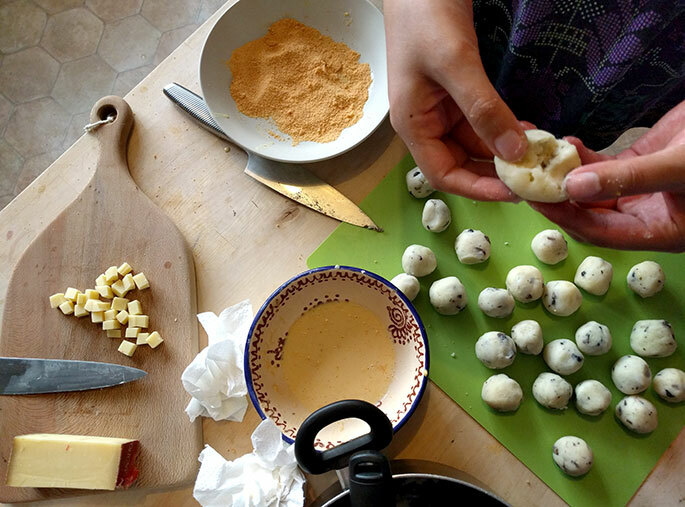 Slowly pick up a bit of your cheesy mixture and mold into small canapé size balls. Make as many as your mixture allows. 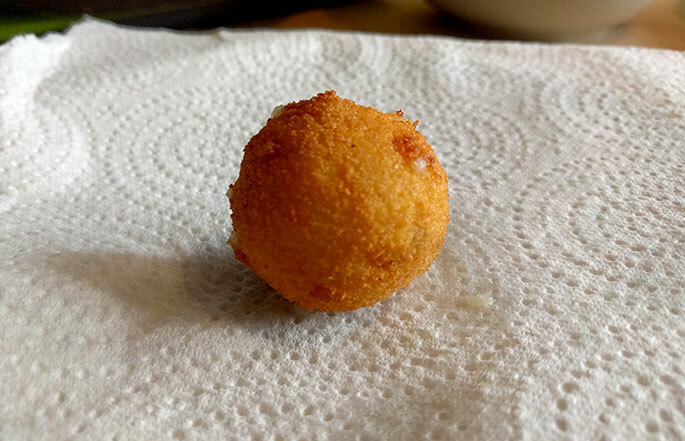 Once your balls are prepped, slowly open up the middle of the heart and insert a cube of cheese. Cheese, cheese, cheese, cheese I do adore. 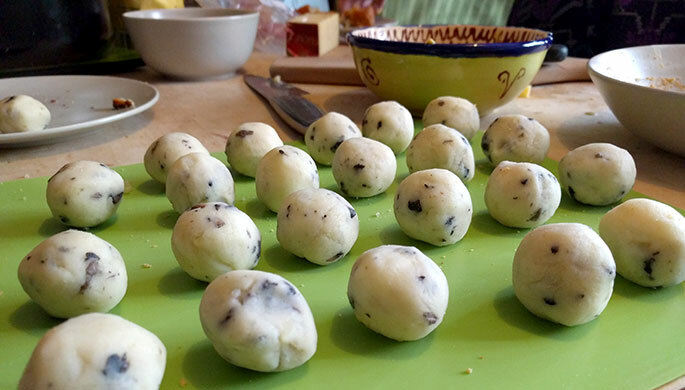 Carefully mold the ball with your hands so the cube remains in the centre. The mixture isn’t sticky so this shouldn’t be too hard to do. Finally, dip into the whisked egg. 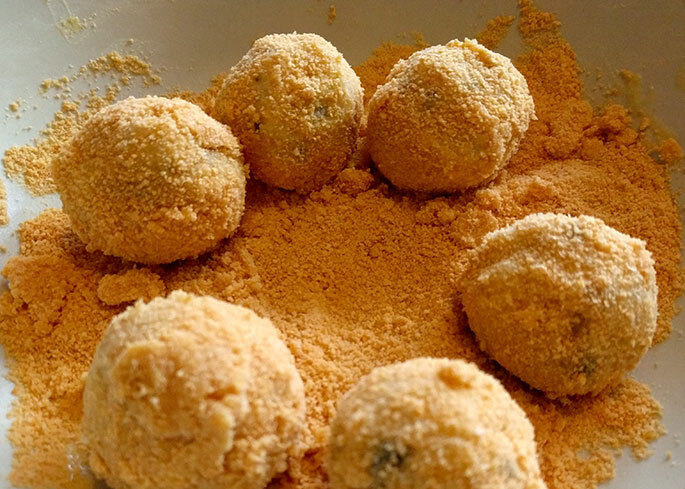 Coat in breadcrumbs, and remember to properly seal any gaps by pressing the breadcrumbs down into the ball with some light pressure. 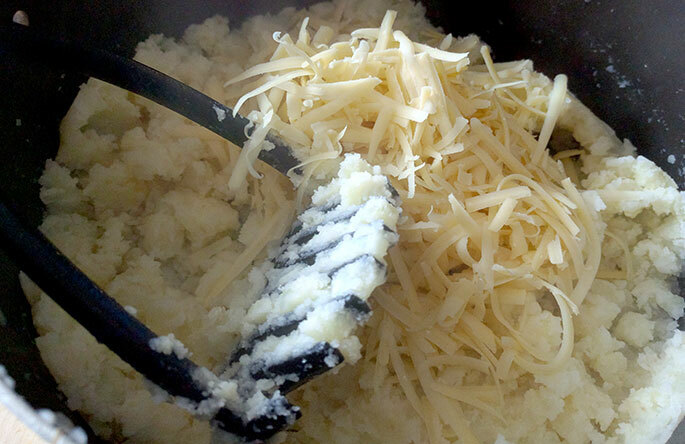 Any gaps result in leaky cheese during the frying step. Then fry. Now this is the part you’ve got to remember. Fry each batch for around 2 minutes pretty much on the dot to ensure the cube in the centre melts. 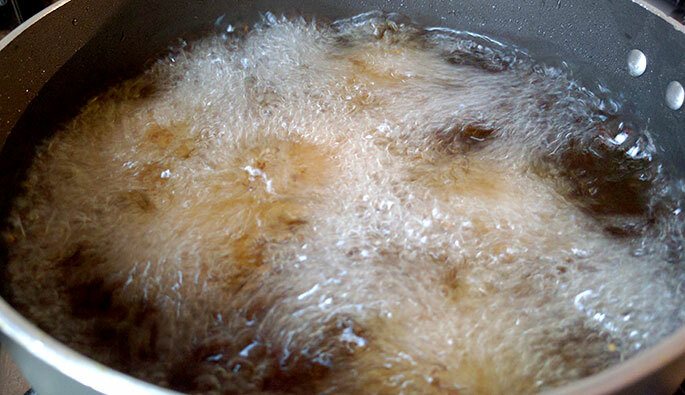 Pro tip: To ensure the oil is a nice medium-hot temperature but not too high, make sure you test it out with frying just one blob the first time to see how it comes out. Holy moly, sweet, cheesy, blobs of beauty. Get stuck in. These blobs are absolutely GLORIOUS when eaten warm. 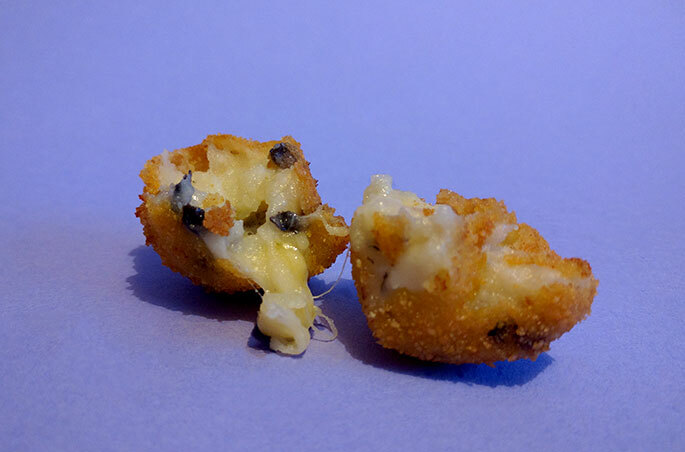 Break open and watch that cheese satisfyingly ooze out in anticipation. So there you have it! 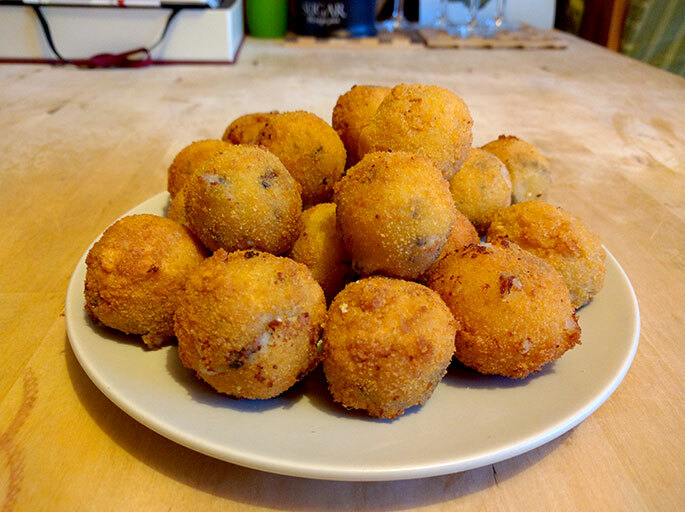 Comté Mushroom Blobs, the ultimate treat for cheese lovers. 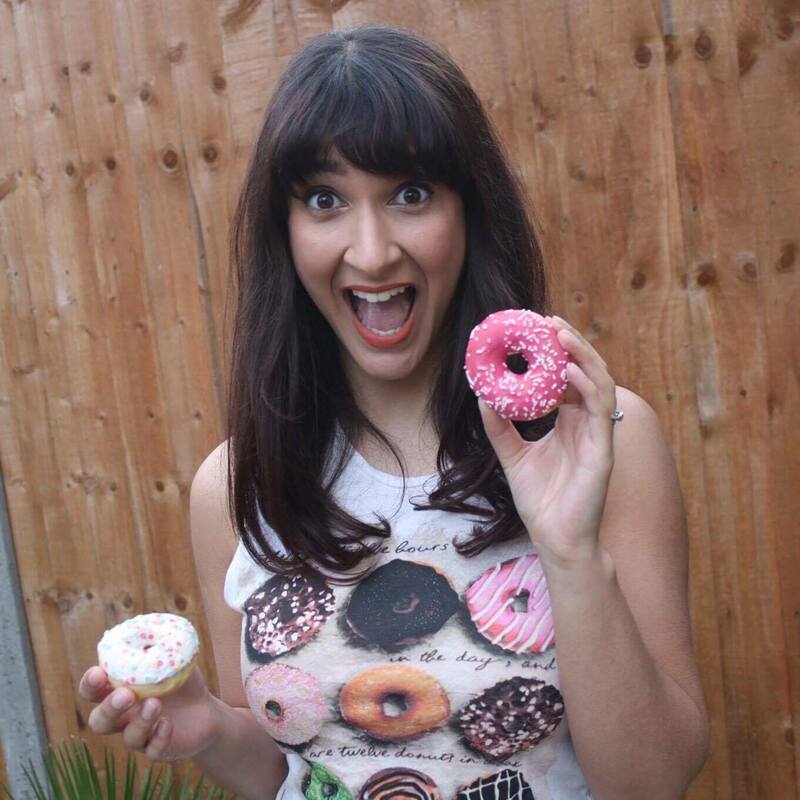 If you’re not a mushroom fan then don’t despair. Maybe try replacing the mushroom with jalapénos, or peppers? I bet sultanas would be delicious too. 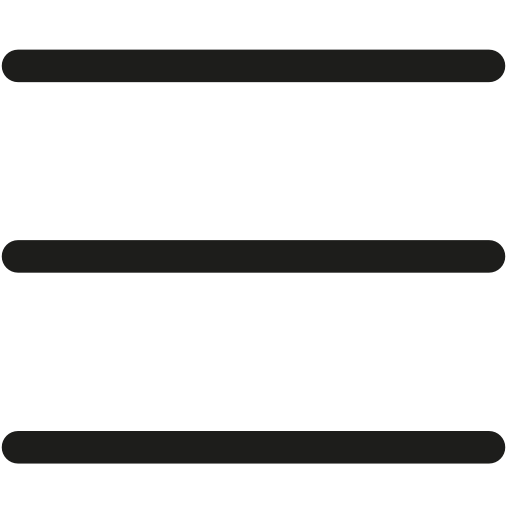 If you do experiment, then drop me a comment below so I can continue to drool all over my keyboard.